Terms & conditions: Offer valid on any regular Most Popular Smoothie from the menu until 30th September 2019. 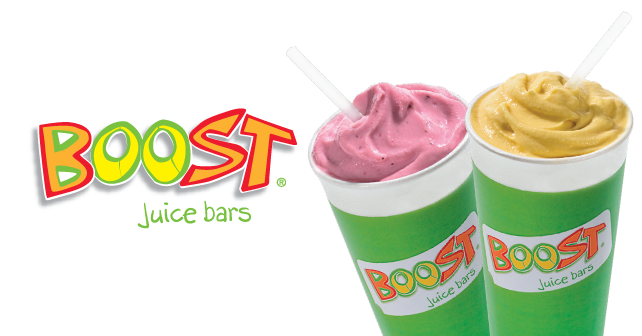 Participating stores only – Boost Juice Bars Manchester Arndale and Trafford Centre. Not redeemable for cash. Cannot be used in conjunction with Order Now, Vibe Cash, VIBE points or any other offer/sale/promotion. Only one voucher per transaction. Voucher must be presented prior to payment. Boost Juice Bars reserve the right to change the promotion/offer without prior notice.